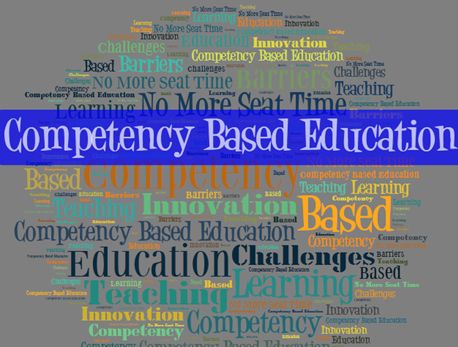 Many educators (myself included) are exciting about the possibilities that Competency Based Education has to offer. The idea of providing a more flexible approach to learning and degree attainment, when carefully implemented, is probably the most promising and fundamental potential change to the way that education is delivered and consumed that has come along since distance learning. Enabling students to more quickly move forward as they master learning material, and potentially even reduce the cost of higher education tuition, sounds like a no-brainer. But alas, it just ain't that simple is it? It should be added, for clarity's sake, that CBE is often implemented with significant reliance on technology too help facilitate assessment, delivery, and more. There are numerous challenges that CBE faces in order to experience a higher rate of successful adoption. “The Carnegie Unit and the Student Hour (also called a Credit Hour) are strictly time-based references for measuring educational attainment used by American universities and colleges; the Carnegie Unit assesses secondary school attainment, and the Student Hour, derived from the Carnegie Unit, assesses collegiate attainment. Per its original definition, the Carnegie Unit is 120 hours of class or contact time with an instructor over the course of a year at the secondary (American high school) level. Strictly speaking, this breaks down into a single one-hour meeting, on each of five days per week for a total of 24 weeks per year. However, knowing that classes usually meet for 50 minutes yields a value of 30 weeks per year. However, further complicating the computation is the fact that American schools typically meet 180 days, or 36 academic weeks, a year. A semester (one-half of a full year) earns 1/2 a Carnegie Unit. So this is the first challenge – getting regulators to agree to allow schools to dispense with the Carnegie unit in favor of a CBE approach. The good news is that this has happened in a few cases, at both the high school and higher education level. Western Governors University is one of several accredited institutions of higher education built around Competency Based Education (and several other innovations) and it is considered by many to be a success. At the high school level, the state of New Hampshire offers a lesson in displacing seat time with competency. In 2005, the state tossed out the Carnegie unit, and they mandated that all high schools move to a competency-based model by the 2008-09 school year. But even when that barrier is dropped, successful CBE is far from just a throw of a switch. Schools need to think and act differently in order to implement CBE in a meaningful, impactful way. As is so often the case with a government mandated change, simply forcing a group of people of organizations to follow new rules does not equate to success – without careful planning, messaging, guidance, and execution, any such mandate is assured its share of failure. The fact is, “transforming from a time-based to a competency-based system upends the traditional culture, structure, and schedule in schools and districts. Moreover, this work requires innovative restructuring that school systems, by their very architecture, are not designed to undertake.” Just because a governing body says everyone has to change, doesn't make it so. (It blows my mind that in this enlightened age, governments at all levels think that setting some sort of rule equates to a productive outcome. Has no one in government ever heard of “change management”?). Another barrier worth noting is the lag of technology for CBE. While in many ways, tech is often ahead of the curve, this is not the case with Competency Based Education. Ms. Freeland has also published a great piece on this topic: “Technology Tools Lag Our Competency- Based Aspirations”. 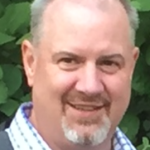 In brief, Freeland explains that the ed tech product market has a long way to go to offer robust solutions that facilitate Competency Based Education. … on Tuesday we'll continue this look at Competency Based Education, examining some pioneers and success stories and taking a look at what's next for CBE. Please come back and join us! 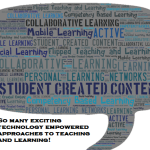 Can the Inspiration for Learning be Captured and Empowered Through Technology? I am a math teacher at an alternative high school in Idaho. I have been using CBE with my students throughout the 2013-2014 school year. When I hit a traditional school deadline (grading period) and students have not yet demonstrated full mastery, I have been assigning them a grade of “I” (incomplete). I require students provide a portfolio of evidence demonstrating competency before assigning credit. It has been rewarding for me and a challenging transition for my students. They would rather return to a system where they could target 60% mastery to receive a credit than be required to demonstrate competency on the entire set of competencies before receiving credit. Hi Ed – The “competencies” in CBE are basically the learning outcomes that a given course, and academic program, has defined. This isn’t really a new idea – what IS new is moving away from ‘seat time’ as a measurement of learning (which is undeniably a poor one) to using the gaining of requisite competencies or learning outcomes in specific courses as the yardstick by which completion of the course is measured. I hope at some juncture you share what you have learned about the challeges of defining the set of compentencies that we feel reflects an educated person at each of our system’s milestones (HS grad, Associates degree, Bachelors degree, etc.). With a world of nearly infinite combinations of skills, abilities and knowledge, it seems challenging to pin down what successful completion might be. How do we allow individuals to express what might be bested suited for themselves? Will there be variability in how ‘competency in X’ is assessed to allow for individuality? Will we catalog life in terms of competencies and say ‘pick 10 from this category, 5 from this category, and so on until we have a well rounded individual who can contribute to society?